Being the biggest archipelago and largest Muslim population in the world, Indonesia has now position itself as an economy in transition from that of a low income to middle income economy and from a primary producer to a value added exporter as well as knowledge based economy. As Indonesia’s economy is on the rise, it has attracted many foreign investors’ attention on investing their business in Indonesia. 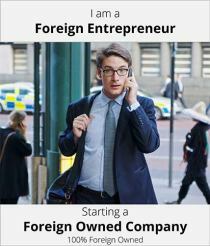 That being said, as a foreign investor, you would seek to set up a company here in Indonesia. The whole company incorporation process would require you to open a corporate bank account for your company as well. In this article, you will be provided with the needed information on when should deposit money in the corporate bank account. In Indonesia, you would not require to go through a lengthy process to open a corporate bank account. As a matter of fact, it will only take up to a day to open a corporate bank account here in Indonesia. Do ensure however that you would be required to prepare and provide the needed documents as requested by you bank of choice. This would then ensure you a smoother and shorter time to obtain a bank account for your company. If you do require any assistance in regards to the following matter, our experienced Corporate Specialist here Paul Hype Page would be able to assist you. In Indonesia, to receive the best interest of banking and customer service from us here at Paul Hype Page, we would recommend banking with DBS bank. Here at Paul Hype Page, our Headquarters are located in Singapore and it is one of the incorporation companies which have ties-up with DBS Bank for applications of corporate account opening and regional payment services. Therefore, we can provide foreign investors with further assistance in setting up a Local Company, PT in Indonesia and to open foreign company bank account. DBS Bank has been named the ‘Safest Bank in Asia’ by Global Finance from year 2009 to 2017. DBS was also named the ‘World Best Digital Bank’ in year 2016 and 2018 and the ‘World’s Best SME Bank’ in 2018 by Euromoney. United States, United States Dollar (USD).